If you think the habanero is hot, then you haven’t met its shock-red sultry sister. 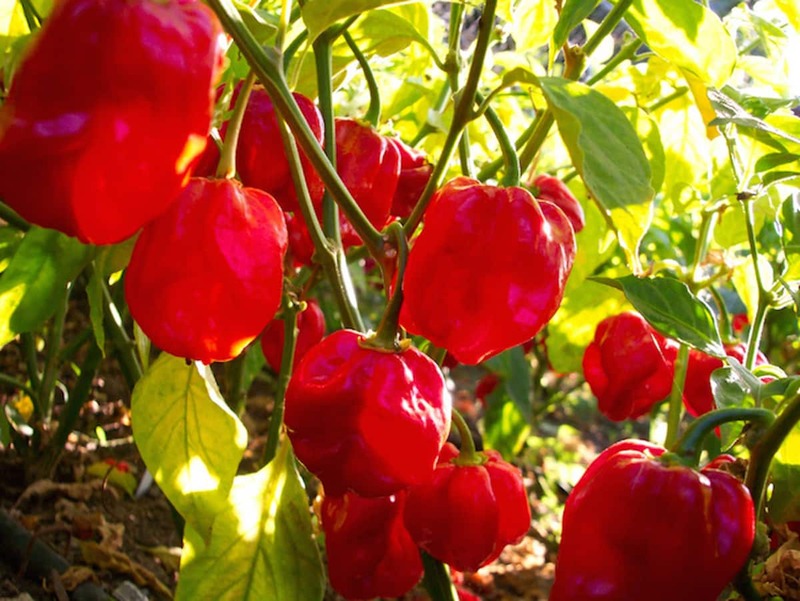 The Red Savina habanero once carried the title of hottest pepper in the world. It’s a scorching hot pepper with a dramatic back story and even a bit of government protection. Few other pepper variations can claim that. 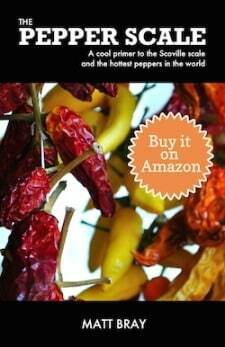 The Red Savina pepper is one of the hottest peppers? It is. It’s extremely hot, though these days it falls short of being listed with the hottest peppers in the world. 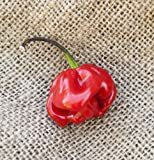 It did hold the Guinness Book of World Records title until the Bhut Jolokia (the ghost pepper) came around and easily doubled its heat. But this is no pepper to be trifled with lightly since it packs between 350,000 to 577,000 Scoville heat units. 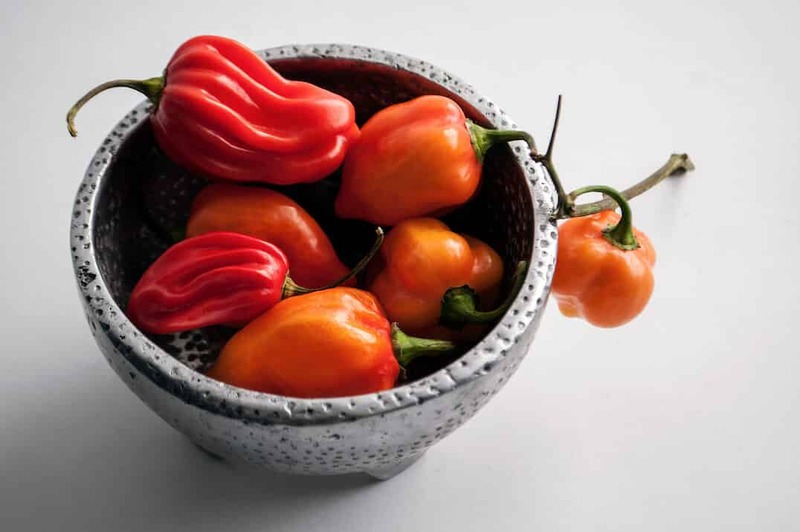 Even those who are used to habaneros may find the Red Savina spicier than they can handle. At its mildest, the Red Savina chili sits at the same heat as the hottest potential habanero or Scotch bonnet pepper (100,000 to 350,000 SHU). 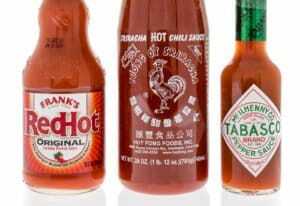 However it has the potential to quadruple the typical heat of a milder habanero. And our jalapeño reference point is also off the charts, on average 138 times hotter. Yikes. 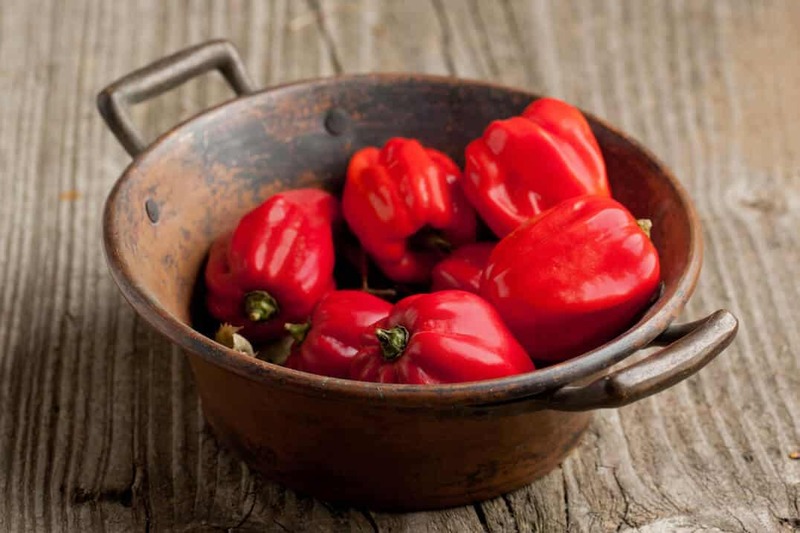 How was the Red Savina habanero discovered? This chili has one of the more interesting modern cultivation legends surrounding it. It all started with a gentleman named Frank Garcia and his company GNS Spices. He and few friends saw an opportunity to bring domestically grown habaneros cheaply into the North American market. After a botched first deal where the buyer withdrew his proposed buying price, Frank and his team decided to plow over the majority of the crop instead of setting their price precedent at too low of a rate. While plowing, Frank noticed one strange red pepper among a field of typical orange habaneros. He picked this mutant pepper instead of plowing it. He forgot about it for a time, but then decided to start selectively breeding the seeds of this red habanero to create a unique product for the market. Upon heat testing (using high performance liquid chromatography), a pepper from this strain topped out at a whopping 577,000 Scoville heat units. That set the world record and launched this pepper into infamy. In fact, it’s one of the only vegetables to be officially protected by the U.S. government under the Plant Variety Protection Act. What does a Red Savina habanero taste like? Is hot a taste? But seriously, it’s quite like the habanero it comes from, sort of a sweet heat, almost fruity like an apricot would be. 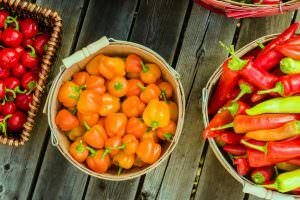 It’s a tasty hot pepper, but care must be taken with its usage, as the high levels of capsaicin can cause severe burning sensations and numbness for days if proper care isn’t taken. 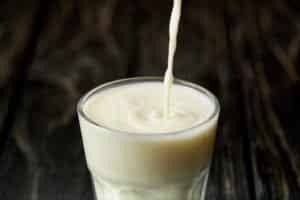 If you’re handling these raw, wear kitchen gloves and wash your hands afterwards too. 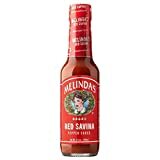 Where can I buy Red Savina habaneros? This is one popular hot pepper, but not one that you’ll typically find at a local grocer. It simply tips the charts as too hot for the masses in raw form. You may discover it at specialty grocers (call around first), but your better option may be to buy Red Savina habaneros online. There you’ll find Red Savina seeds and plants and many Red Savina hot sauces and powders, among other products. The hot sauces are a great way to experience the power of this chili without having to deal with the pepper in raw form. 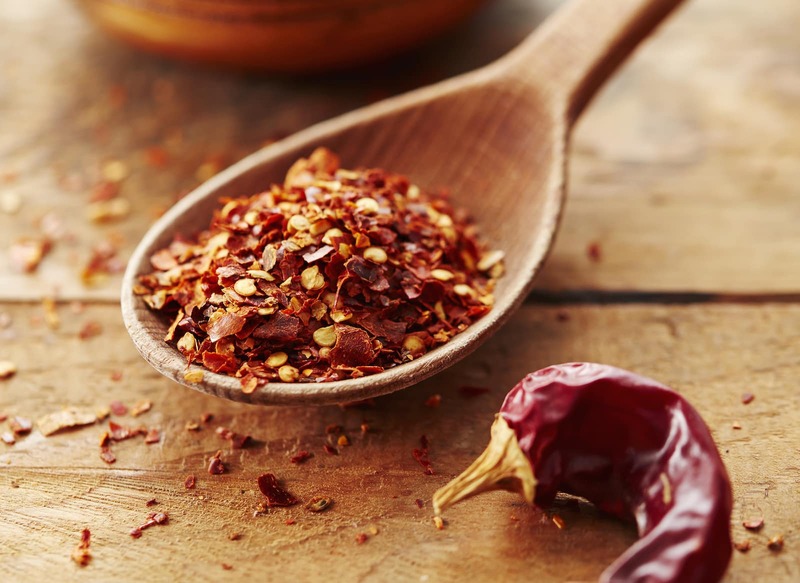 And the chili grind will let you layer this heat into nearly any dish you are making. The Red Savina habanero has a back story that’s made it into a chilihead legend, and it has the heat to back it all up. If you’re thinking about moving into the realm of super hot peppers, take a stop off at this chili first. It’s at the lower end of the scorching hot area of the pepper scale, so it’ll help prepare you for the ghost peppers and Scorpion peppers that lay beyond.